The Sanctuary M.S. 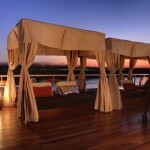 Nile Adventurer is an intimate and luxurious haven, offering three and four night cruises. The exquisite style of the boat takes its inspiration from thousands of years of both Pharaonic and modern Egyptian culture and heritage. Elegant yet cozy, sophisticated yet homely, the Sanctuary Nile Adventurer will cocoon you in warm splendor as you sail down the Nile on your mystical journey. 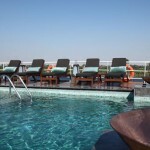 Decorated in a modern, Pharonic inspired lounge style and providing gourmet cuisine, the Sanctuary MS Nile Adventurer offers an intimate and relaxed cruising experience on the epic Nile River. The vessel’s public areas are fitted with luxurious furniture and oriental ornaments that beautifully reflect Egypt’s mix of East and West. The Sanctuary M.S. Nile Adventurer has just 32 beautifully designed cabins. The two presidential suites, two deluxe cabins and 28 standard cabins have all been created with guests’ comfort in mind. Spacious rooms and modern state of the art bathrooms are the hallmarks of each cabin. All cabins are fully air-conditioned with individual control, and have Nile view plus private bathroom with bathtub, shower and hairdryer, mini bar and LCD television with satellite. International telephone access is available through the reception. Launched in 1990 and last renovated in 2009, the Sanctuary Nile Adventurer has an upper sun deck with swimming pool, a shaded deck with an outdoor bar and a lounge bar terrace. The restaurant is spacious and seats 75. In addition, there is a library and games room with computer and internet access. 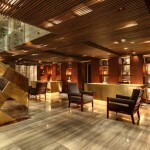 Along with a gym and a massage room, there is also a gift shop. 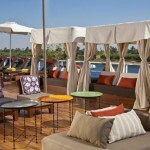 For guests wishing to relax there is room service, in addition to a sun deck snack bar. 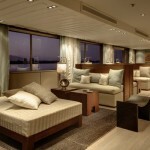 For added comfort, there is a no smoking policy throughout the boat, except on the open decks. A no mobile phone policy operates in the public areas to ensure relaxation. Entertainment schedules during cruises are adjusted according to the needs of each group of guests and the exact sailing schedule. However, every cruise on the Sanctuary Nile Adventurer includes a colourful galabeya party’ which gives guests the opportunity to dress up in traditional Egyptian clothing and dance to Arabic music, There is also a performance by a belly dancer, accompanied by a whirling dervish show in Luxor. 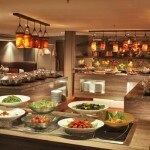 International cuisine as well as local flavour ensures we cater to all tastes. Sumptuous buffets, elegant a-la carte dinners, extensive local and international wine lists and open deck barbecues are all offered. 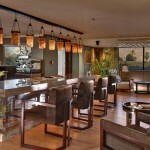 Our expert chefs can also cater to specific dietary needs of guests. 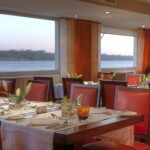 – Nile Adventurer Nile Cruise could be totally chartered or Out of Service for Maintenance in some Dates. 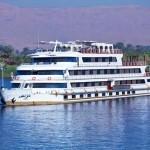 – The Nile Adventurer Nile Cruise Could be Sold Exclusively for some Nationalities. So we have to check if it is available for your Nationality or not before confirming your booking.